August is the month of monsoon. We root cuttings, transplant perennials, prepare beds for fall plantings this month. Those climbers and bushes which are late summer bloomer and those which did not bloom because of intense summer heat are coming back to life. 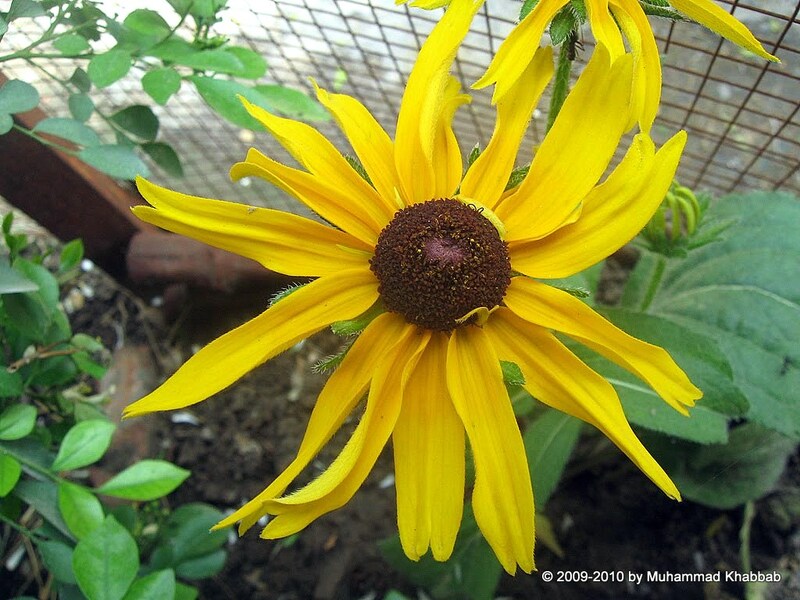 see below the flowers blooming in my garden. Just a treat to see these blooming and blooming. 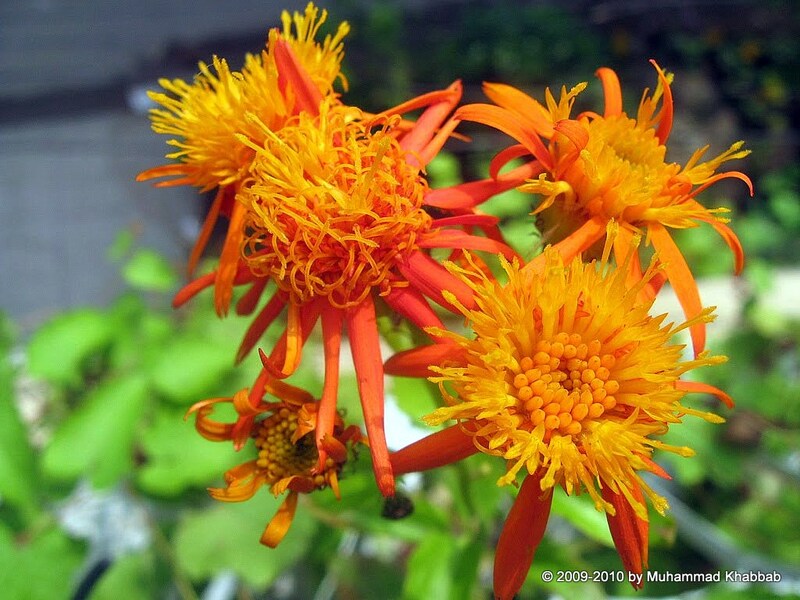 Senecio confusus (mexican flame vine)my all time favorite vine and butterflies just love it. blooms are fragrant too. 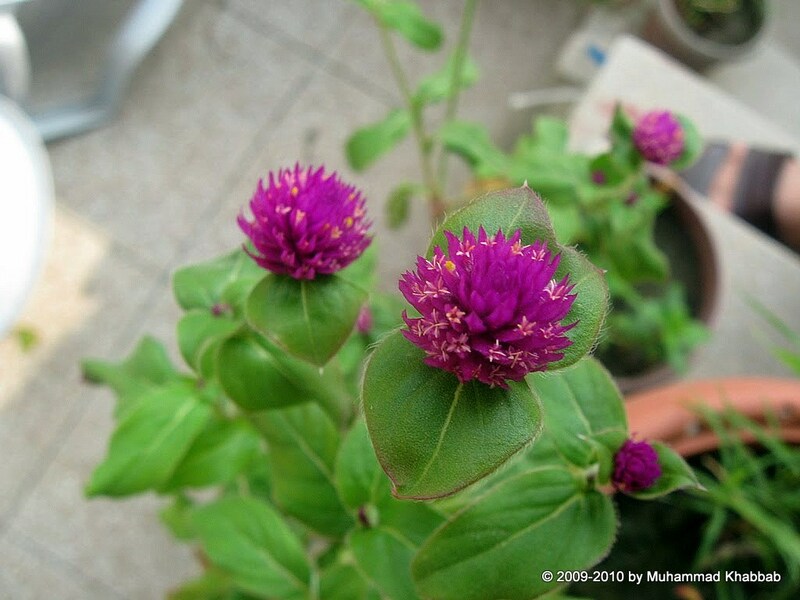 The gomphrena looks like purple buttons with little peach colour flowers inside, quite different from the usual ones I see here. 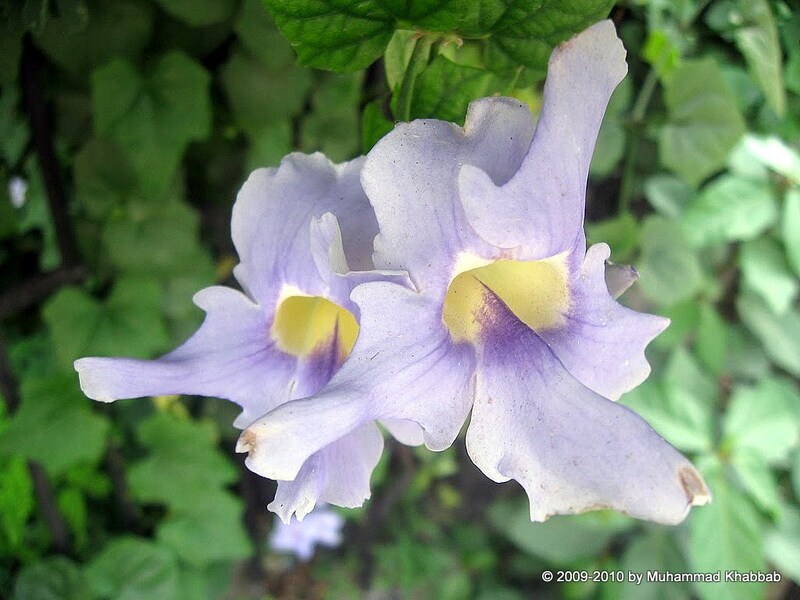 The thunbergia grandiflora is a very beautiful vine. I have seen these vines outside bridal photo studios. The bees that they attract are quite large. I think I have seen white thunbergias too. But it is the orange mexican flame that I wish to plant next because of the butterflies that it will attract. You have some spectacular photos of butterflies and flowers on your blog! I especially like the lavender colored Thunbergia! Gorgeous flowers! Amazing that you are growing Rudbeckia in only 4 inches of soil; the crocus will look lovely here. I have not heard of gomphrena but it is very pretty. The mexican flaming vine really stands out – nice that it attracts the butterflies, and the bangal clock vine looks so delicate. I wonder if it’s called a clock vine because it’s like a sun dial. It looks like we share the same problem. I have rock under a bit of soil in many parts of my garden so I have a lot of limitations in what will grow. I have the Thunbergia grandiflora growing for me too. The Sunbirds just love it. So do the Tailor birds. Mexican Flame Ivy is really a pretty one! And if it attracts butterflies, all the better. What you have accomplished is fantastic! Four inches of soil?! Impressive! I’m in love with the Senecio confusus and have written it down to research further. Hopefully it can be purchased here and will grow in my Zone 7 area. The orange is fantastic. I did not grow any Gomphrena this year but was so happy to see 2 volunteers! It is now time to collect seeds, so I’ll let one seed head dry out for some seeds next year. It’s such a cute little flowering plant, isn’t it? Lovely photos on your blog. I enjoyed visiting and will be back. Loved your photos of your garden flowers. Will have to find out where Lahore is. Will check out your blog again. I like your blooms. The last 2 I’m not familiar with. I love their colors. Thanks for your comment on my blog. You asked me if the snail vine flowers are fragrant. I couldn’t remember, so I went and checked. There may be a light fragrance, but I wasn’t sure.